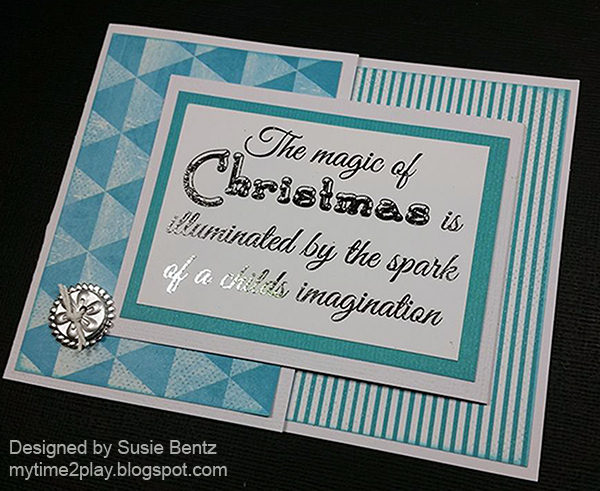 Blog Quick Quotes: Fancy Fold Card Tutorial with Susie! Fancy Fold Card Tutorial with Susie! Hello and welcome! 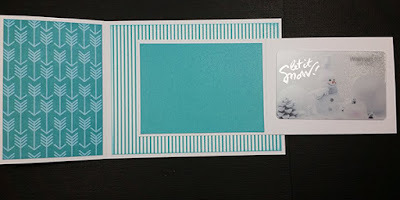 Susie hosting the blog today and I am sharing a fancy fold card made with the Winter Bliss collection. This is a Joy Fold card and it is one of my favorites because you can use several different coordinated papers to decorate the surfaces. 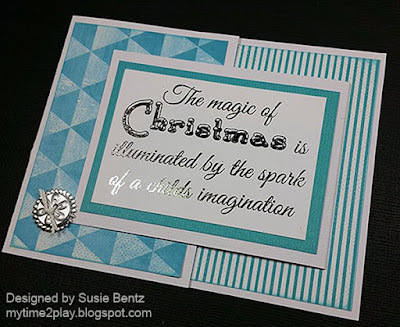 As an early Christmas present, I have created this tutorial for you! Start by creating the card base with an 8.5" x 4.25" piece of white cardstock. Score it at 3". Cut a 4" x 5.25" piece from Winter Bliss 105, ink the edges with Caribean Blue PowderPuff Chalking Ink and adhere it to the back of the card. 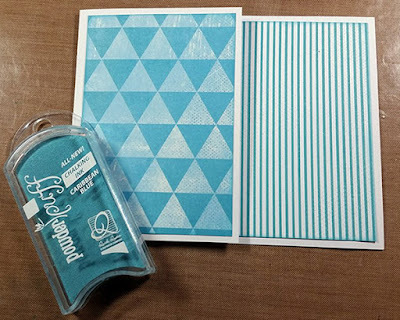 Cut a 4" x 2.75" from the same paper. 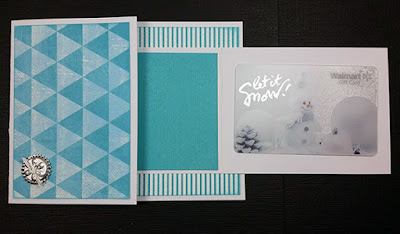 Flip it over so the arrow pattern shows, ink the edges and adhere it to the inside flap of the card base. 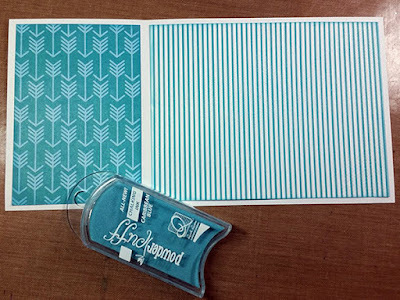 Cut a 4" x 2.75" piece from Winter Bliss 103, ink the edges and adhere it to the outside front of the flap. Cut an 8" x 3" piece of white cardstock, score it at 4" and fold it in half. 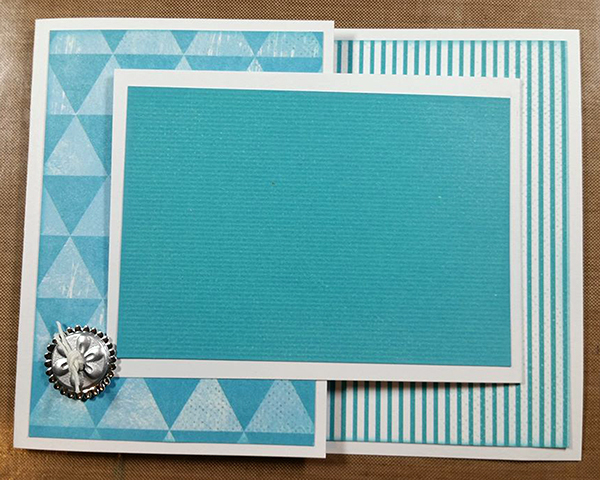 Cut a 3.75" x 2-5/8" piece from Winter Bliss 103. 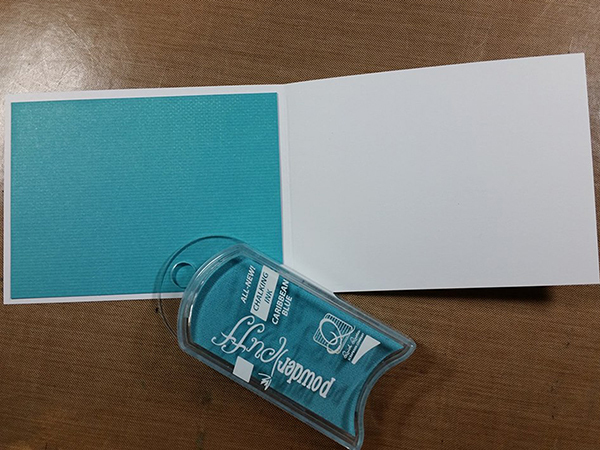 Ink the edges and adhere it to the inside with the solid blue side up. Close the flap. 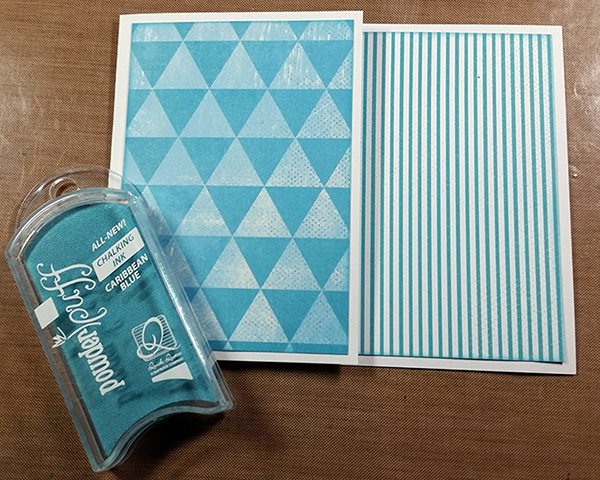 Cut another piece the same size from the same paper and adhere it to the outside. 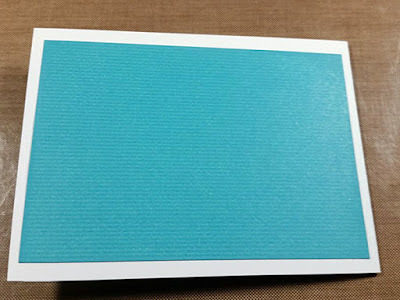 Adhere the smaller flap to the back of the card base, centering it and positioning it so that the flap opens to the left. 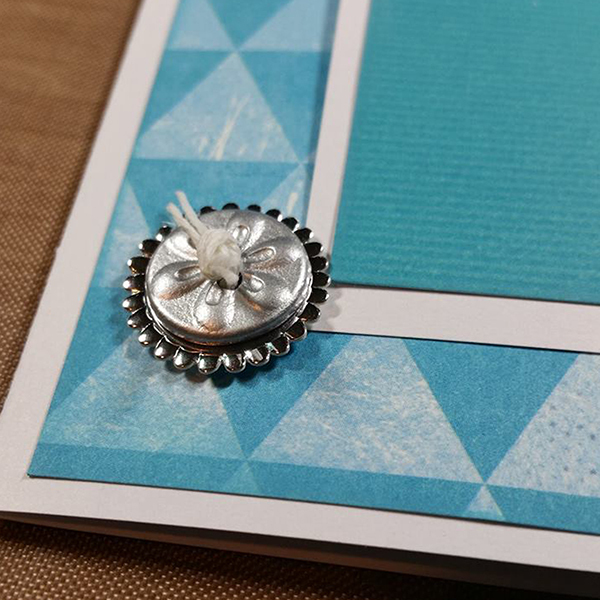 To keep the smaller flap closed, I added a small embellishment - a silver button. 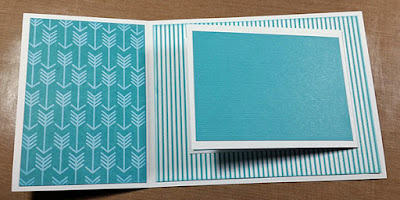 You can see that I positioned it so that it just catches the edge of the smaller flap and holds it in place. For the focal image I chose a Christmas themed card from the Sentiments Quote Cards pack, which come printed in black on heavy white cardstock. I layered Silver Deco Foil transfer sheet on top of the card and ran it through a heat laminator. 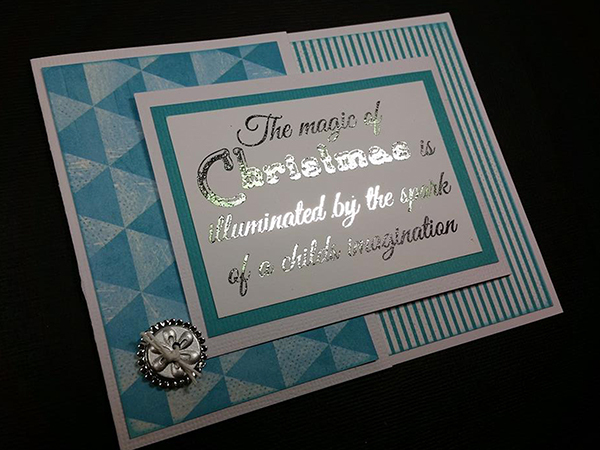 Here's a picture that really shows how well the Deco Foil clung to the sentiment - so gorgeous! Here is what the finished card looks like as you open it up. 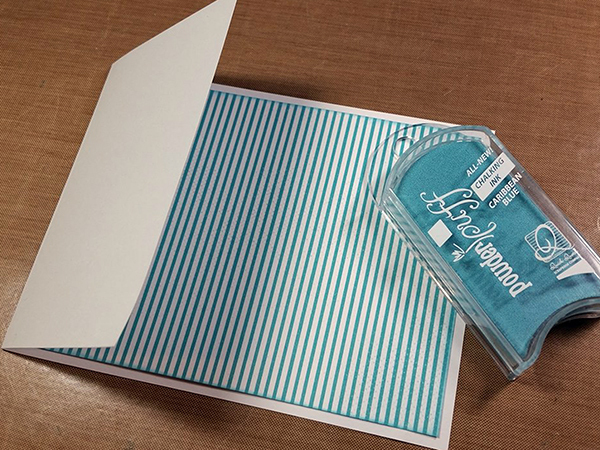 I added a gift card to the inside, but it would also be a great place for a picture. The solid blue panel on the inside is where I will be writing a little note. This month's Quick Quotes Challenge is to use Silver and Blue in your project. 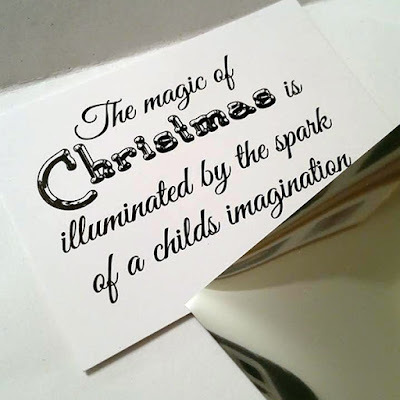 You have until December 30th to upload your entry for a chance to win a $25 gift certificate to the Quick Quotes online store. 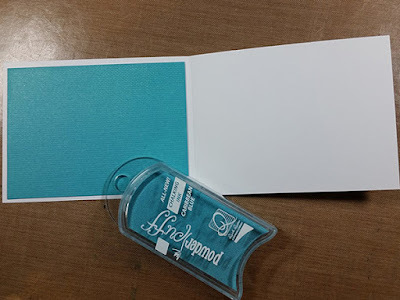 I do hope you will play along! You can read all the details HERE. 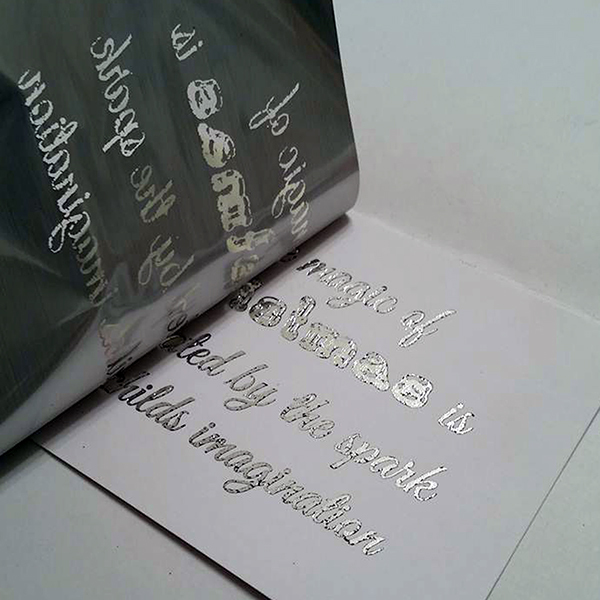 Thanks for stopping by and I hope you find some time to play today!